Zorch Radio Episode 106: Ho Daddy? Si Si Si! Lotsa hullabaloo and jingle jangle jungle juice! 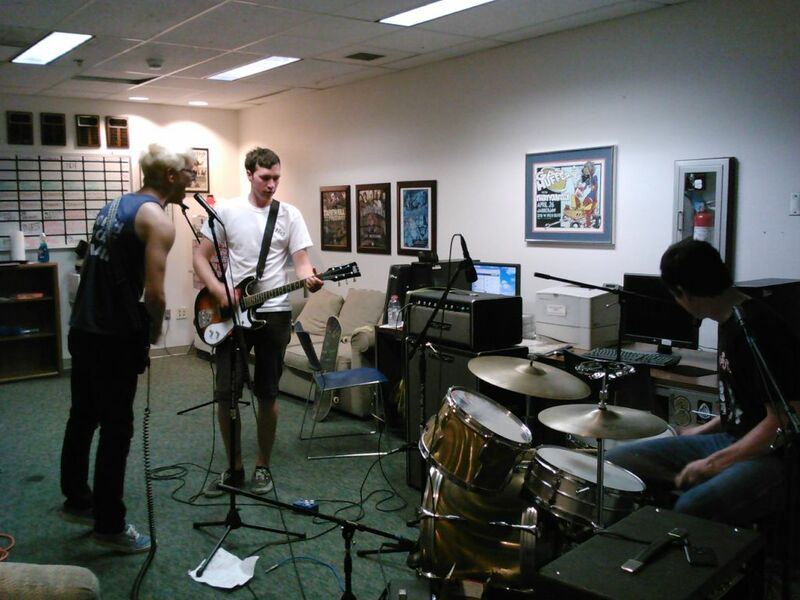 One of the best active punk bands from Tacoma came in to the studio this night for a live performance and a guest DJ session: Si Si Si! Fuzzd out trashy bass and primal auditory GUTS. They’re not the only ones who brought up cool records, though, DJ Hodaddy brought in a stack o wax, since he was doing the sound for the band (Thanks, again dude!). I was pretty stoked for the following night, too, as Tacoma punk rock legends THE MUTHA FUGGIN SONICS were playin a gig in their home town! Hell yes! Breaking from the PURE opening rituals, I blasted open the show with some savage PUGET sounds. Black C.C’s – No More Gasoline – iPuta! This entry was posted on September 21, 2012 by Zorch Radio. It was filed under Audio .